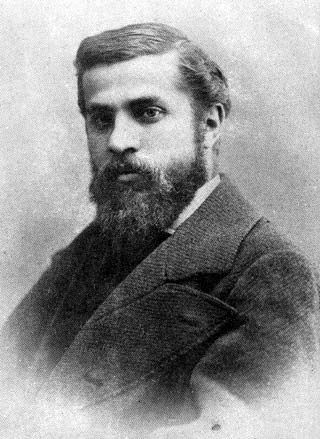 Antoni Gaudi had a unique design aesthetic that infused organic shapes inspired by nature into modernist styles. He used recycled and low-cost materials like ceramic tiles, glass, and iron. It was interesting to learn that he was on the forefront of sustainable design. 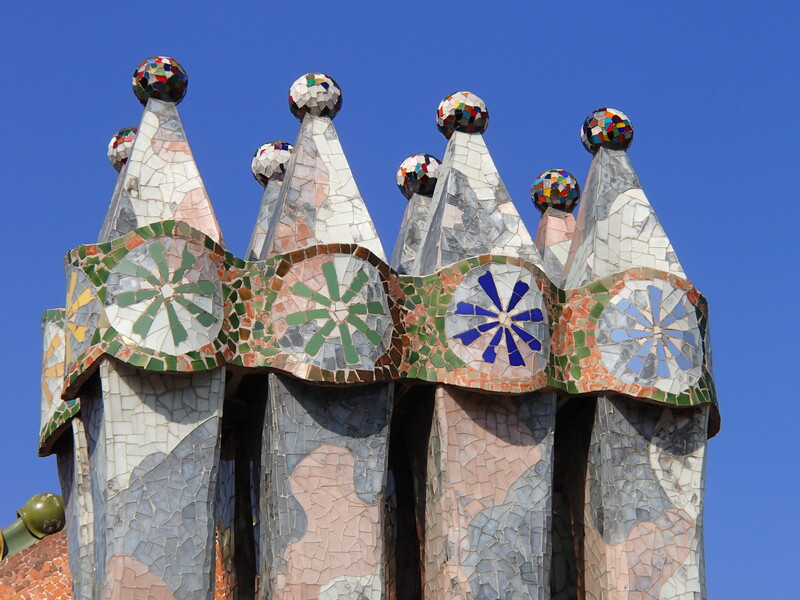 Some of Gaudi’s most spectacular designs are in Barcelona. 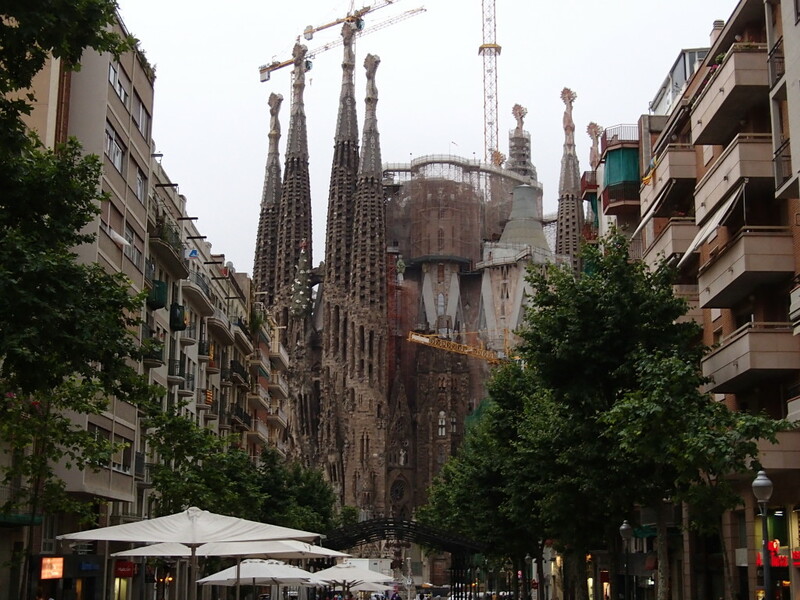 We visited Park Guell, Casa Batllo, La Pedrera, and of course Sagrada Familia – which is down the street from our flat. 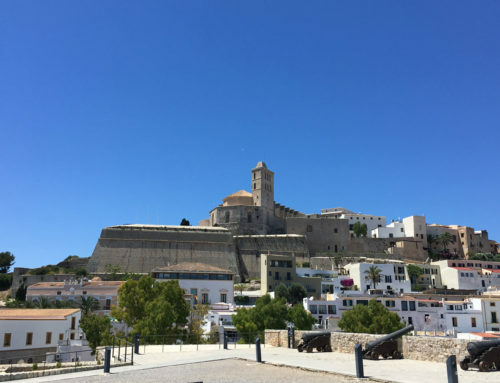 Along the way, we noted some tips that can help you plan your visit (see Travel Tips section at the end of this post). 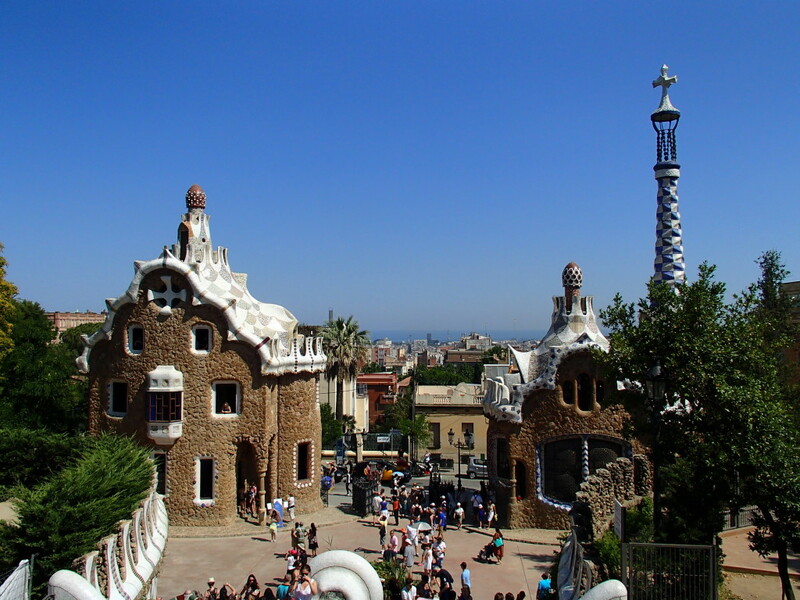 Park Guell is located high in the hills of Barcelona and has wonderful views of the city and sea. The site was a collaboration between several architects and designers. Eusebi Güell i Bacigalupi originally planned to build a gated community of 60 homes for aristocrats, but there was little interest. 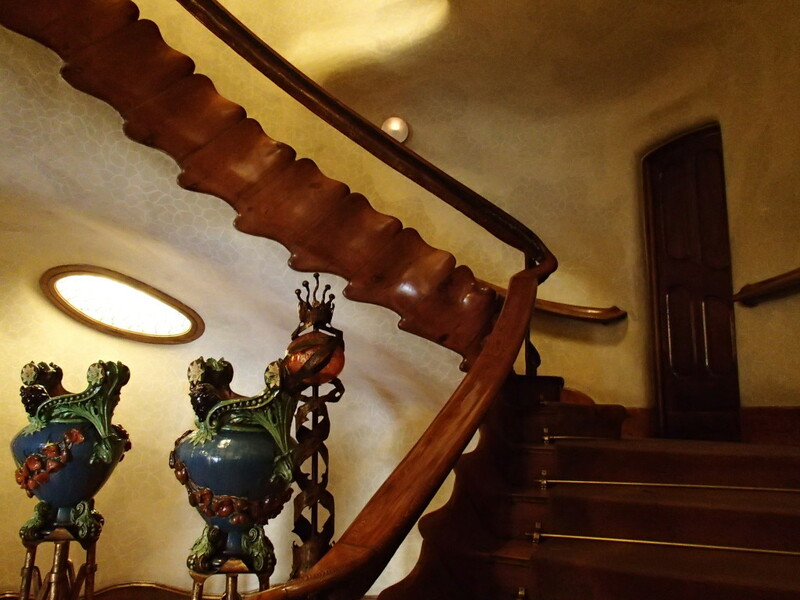 Gaudi bought one of two homes that were constructed and lived there until his death. 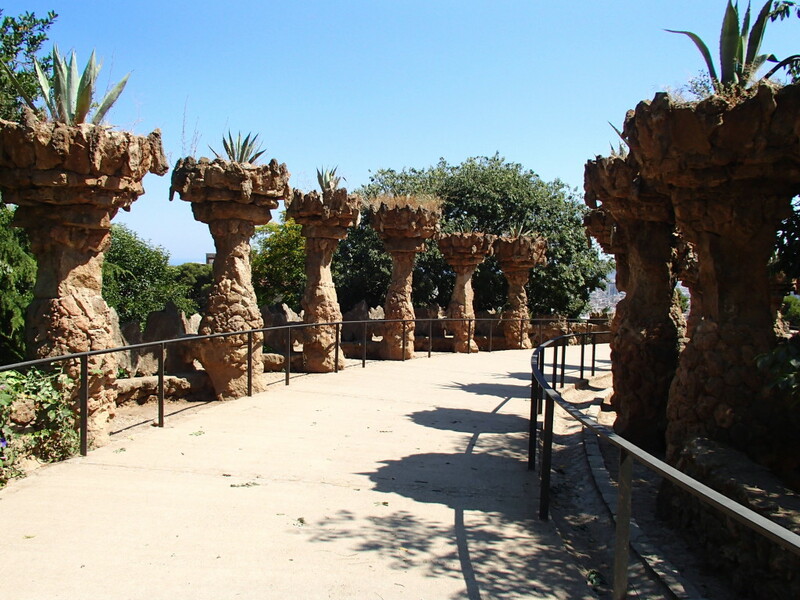 Guell gave the private gardens to the city in the 1920s and they were turned into a public park. 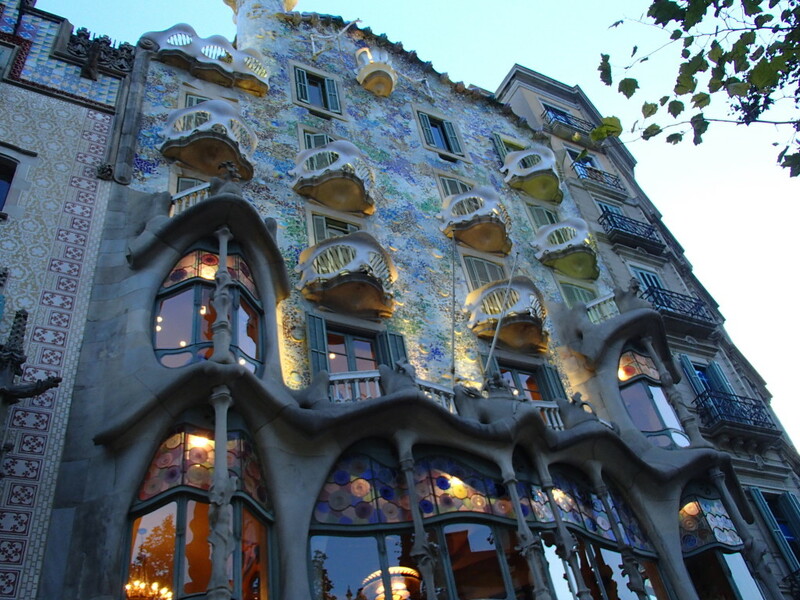 Pere Milà i Camps hired Gaudi in 1906 to design a family home with rental apartments on Passeig de Gràcia in Barcelona. 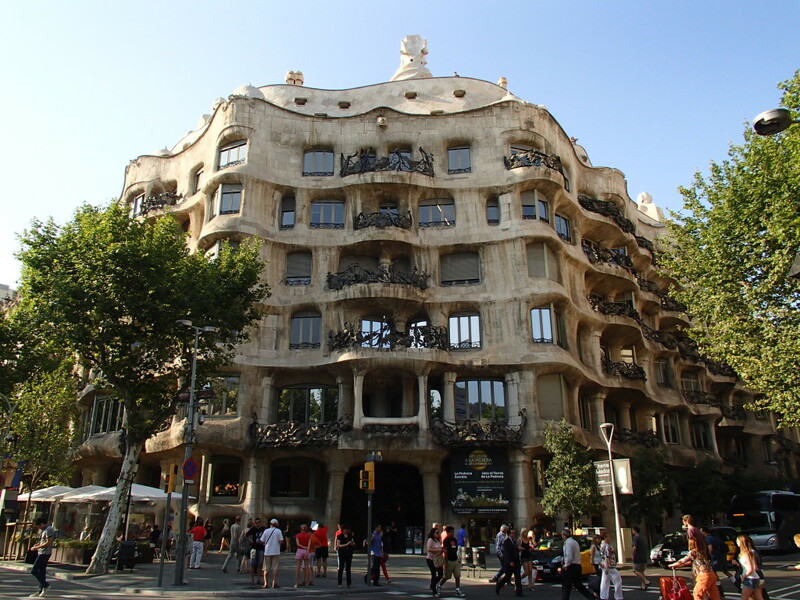 The building got its nickname La Pedrera because it looks like an open quarry. 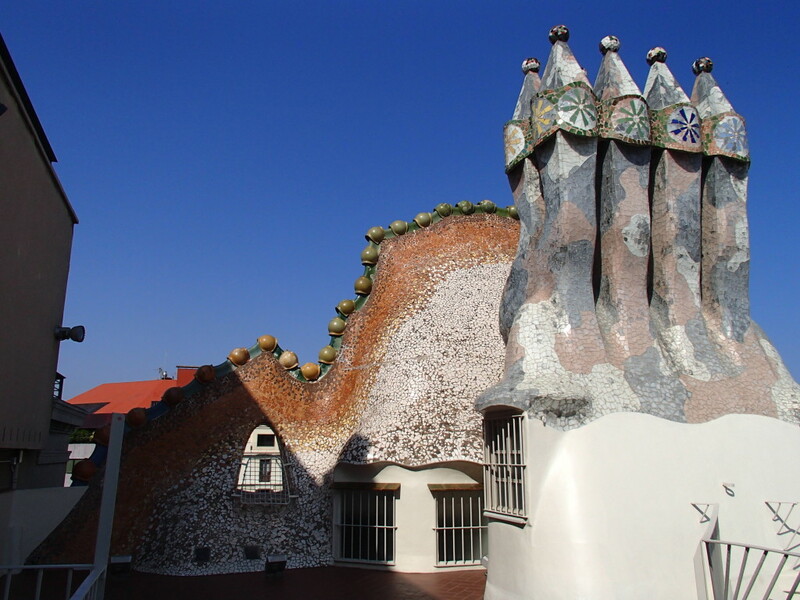 In 1984, La Pedrera became a UNESCO World Heritage site. 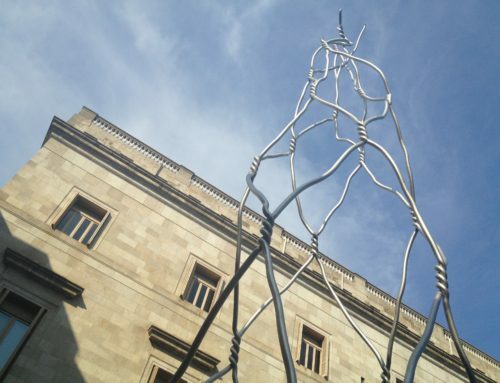 It is currently a cultural center that hosts exhibitions and events. Three areas in the building are open for public tours (we just looked at the exterior). Gaudi sights are very popular and crowded (we watched a constant parade of groups pass by our flat on the way to Sagrada Familia). When you visit the buildings, you may encounter long lines to get in. Save time and buy tickets online so you can skip the ticket queue and go right to the entrance. 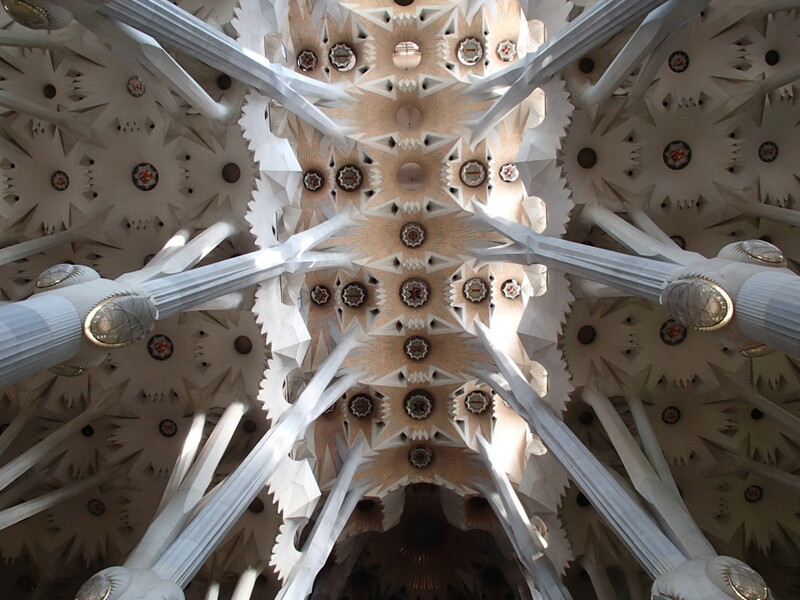 Sagrada Familia: You can buy tickets online but there is a different process than Casa Batllo and it is a bit more involved. To visit the Bascilica only, pick a date and arrival time range, e.g., 9:00 – 10:00 AM. If you want to visit the towers, you have to pick a day, specific time, and tower (two towers are open: Passion and Nativity). You must also print a hard copy ticket to present at the gate. We didn’t have a printer, so we went with the other option. 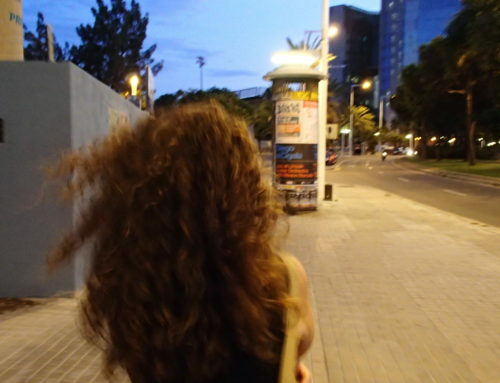 At some La Caixa banks there are kiosks where you can purchase or pick up (print) tickets – you must bring the credit card you used to buy the tickets online and it must have a pin number. We had trouble printing our tickets – we followed the onscreen directions but kept getting an error message. We thought the machine might be broken, so we walked a few blocks to another branch and had the same result. Back we went to try again one last time – and then we saw a piece of paper taped to the wall next to the kiosk (and several inches above the line of sight of the machine screen). 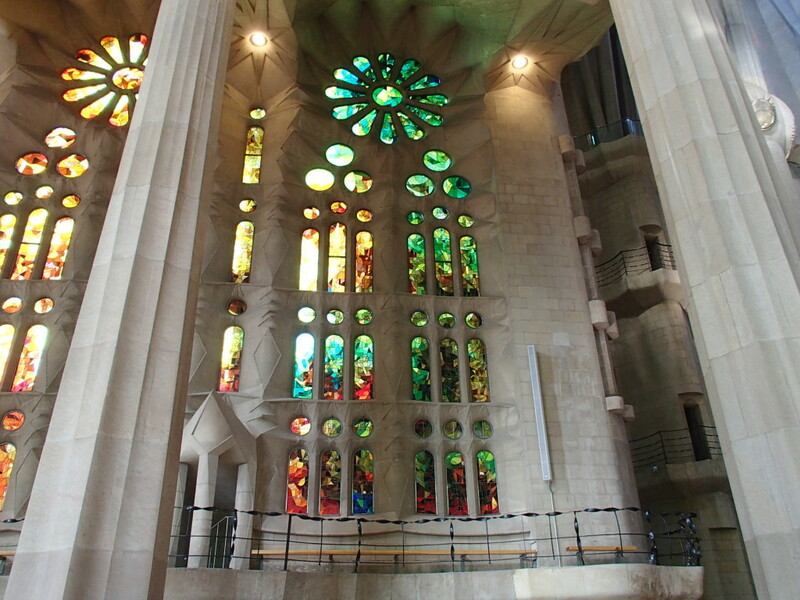 At the top it said, Sagrada Familia Tickets, followed by instructions in several languages. The instructions had completely different steps than the onscreen instructions. We tried again and it worked like a charm – geez. 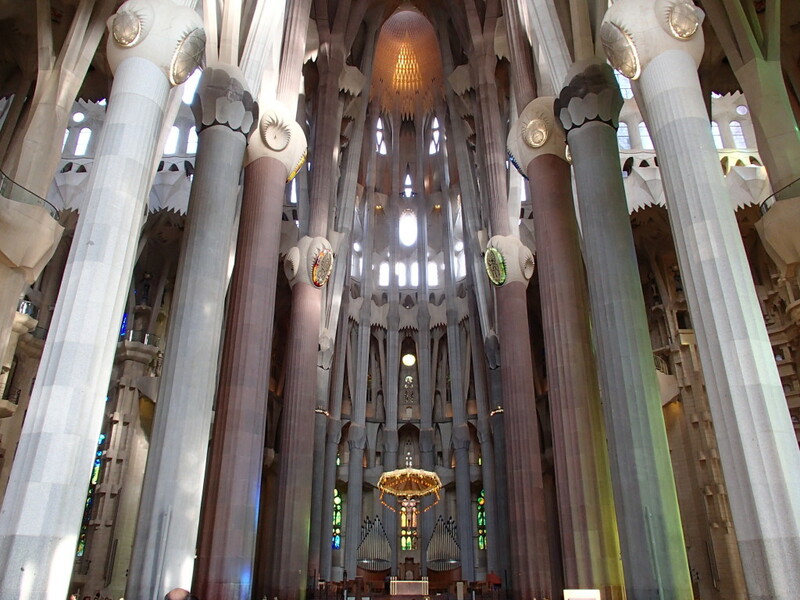 Here is a recap of the tips for how to buy tickets for Sagrada Familia. Buy tickets in advance: Although the process to buy tickets online sounds like a pain, do it anyway. The line to buy tickets at Sagrada Familia can be huge depending on when you go. Who wants to wait in the hot sun for a long time. Trust us – we lived down the street for six weeks and saw the crowds. There was no line at the entrance for ticket holders – we walked right in. If you plan to pick up tickets at La Caixa: The credit card you use to buy the tickets must have a pin number. You must insert the card in the kiosk and enter your pin or you won’t get the tickets. 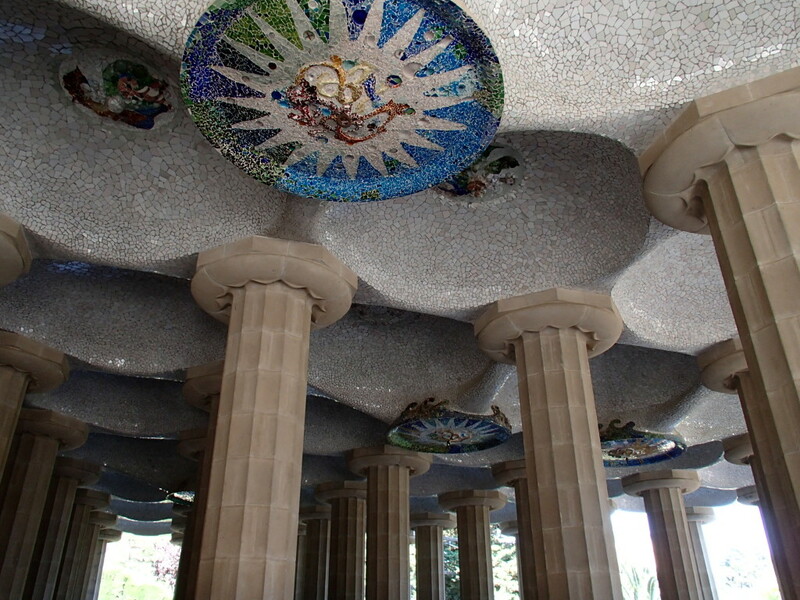 Park Guell: Free admission to the park, but there is a fee to visit the museum (we did not go inside).